Listening to music is one of the most popular past-time for most mobile device users. They listen to music to relieve their stress, to spend their leisure time or to relax their minds. Whatever purpose is, they still want something in common, and that is to listen to their favorite music comfortably. Bluetooth headsets has been popular in the market for a long time now, because of the wireless listening feature, high quality music they can produce and the comfort of using them. That is why, this time, we will be talking about the Top Five Bluetooth Headsets for Android that you can use with almost any smartphone / tablet device. Supported by: Samsung, Sony, HTC, Huawei, Apple and many others. 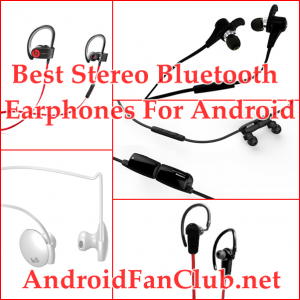 If you are not looking for wired stereo earphones with amazing sound quality without bluetooth, you can have a look at our previous coverage of 5 Best In Ear Headphones For Android With Super Sound Quality. 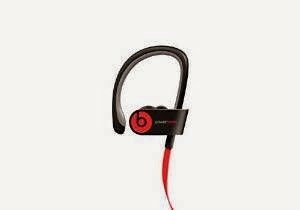 On top of the list is the Beats by Dr. Dre Powerbeats 2.0. Though it is quiet expensive, it is still worth the price. It is designed with sweat-resistant materials that makes it ideal for sports and workouts. It also has flexible ear clips and a neckband to secure it in place and keeps it from falling. Furthermore, it was designed with customized ear tips to increase comfort. 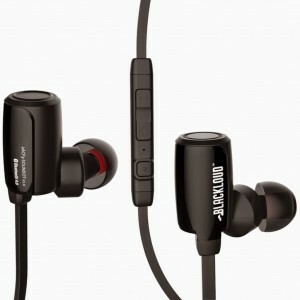 It is able to produce clear and powerful sounds and deeper bass for a better listening experience. You can acquire it for around $200. Next in line is the Soundot Sport, a cheap but good Bluetooth headphones. For only $50, you will be able to enjoy features that can compete with those expensive ones. It has a built-in microphone that will allow you to switch from music to calls smoothly. It also has controllers for volume, tracks and phone calls so you don’t have to constantly take out your phone. It is designed with sweat-proof materials, making it ideal perfect for sports and workouts. In addition to design, it also has a magnetic heads so they will clasp together if not in use. It is also capable of producing high definition sounds. Another cheap but quality wireless headphones has made it’s place on our top five list, the IanSean Muset1. It was built with a moisture-resistance material and a tangle free cable. 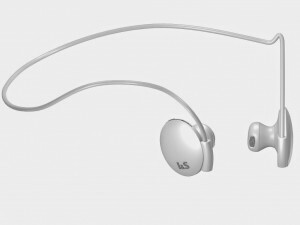 It is designed with ergonomic ear plugs so it will fit perfectly and comfortably on the ears. It also has inline controls to enable interactions to phone without actually taking it out. It can work for 5 to 7 hours depending on the volume and the music being played. You can actually buy it for only $35. For only $37, you will be able to enjoy your favorite musics anytime, anywhere more comfortably with Jarv NMotion Sport wireless headphones. 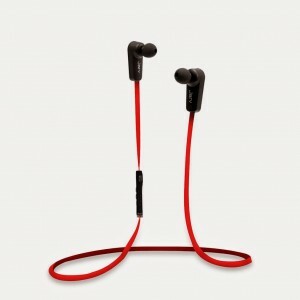 With this, you will be able to listen to your preferred music tangle-free with rich stereo sound quality. It works with any device compatible with Bluetooth so you can also use it to devices other than your Android device. It also has a built-in microphone and controls which will allow you to receive calls without interacting directly to your device. And lastly, a very intuitive and very innovative bluetooth headphones from JayBird, the BlueBud X. It is created with a lifetime warranty against sweat, making it ideal for sporty people. It can be used for up to 8 long hours of continuous music listening.It can also provide a quality and clear audio which can be compared to wired audio performance.Thanks to their PureSound feature, white noise can be eliminated for a better audio quality and reduce listener fatigue. Though it is quiet expensive ($140), it still worth it to give it a try. With different prices and different features, what may be the best fore some might not be the best for others. So, it is up to you to choose which one of these five will suit your needs and will be suited for your budget. 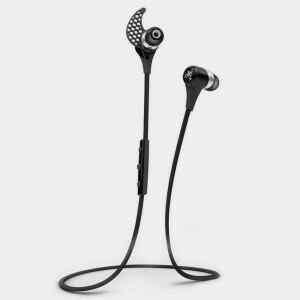 I can guarantee you that your money will be wisely spent if you will consider these Five Best Bluetooth Headphones for Android that I’ve mentioned.